Ever since I heard about Secret Paws I've been looking forward to it. Angel Truffles told me how much fun it is and she was so right! I told Mommy that I wanted to be very "paws on," and since this is my very first year, I want to make sure that I make a good impression too! Whaddya mean I'm not helping? ...and these labels. Make sure you tell them everything is from Mudpie! Put the flashy box down and wrap, Mommy! I can't do all of this by myself!!! Everything is finally packaged up and ready to go in the mail to my Secret Paws tomorrow. Could it be coming to your house? We're joining the Sunday Selfie blog hop hosted by The Cat on My Head. 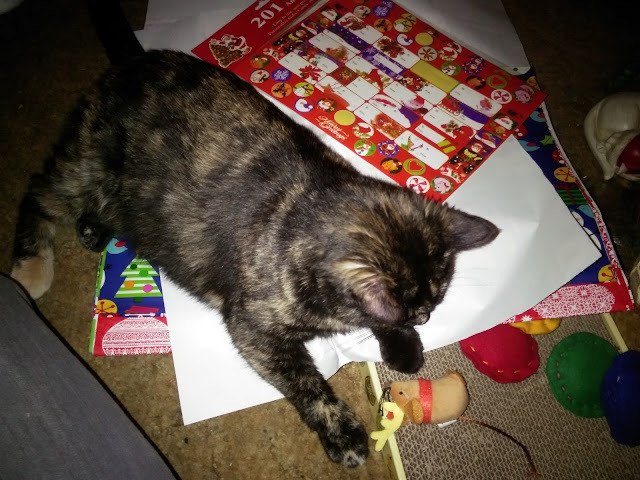 Faraday is right - you are in charge, go jump on the wrapping paper and make a big noyze!!! 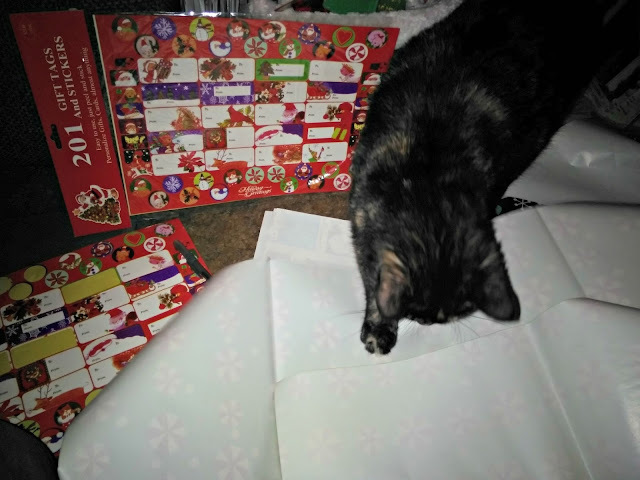 Mudpie, every kitty has to start this wrapping paper stuff sometime...you have made a great beginning! Wishing you many happy decorating events to come! 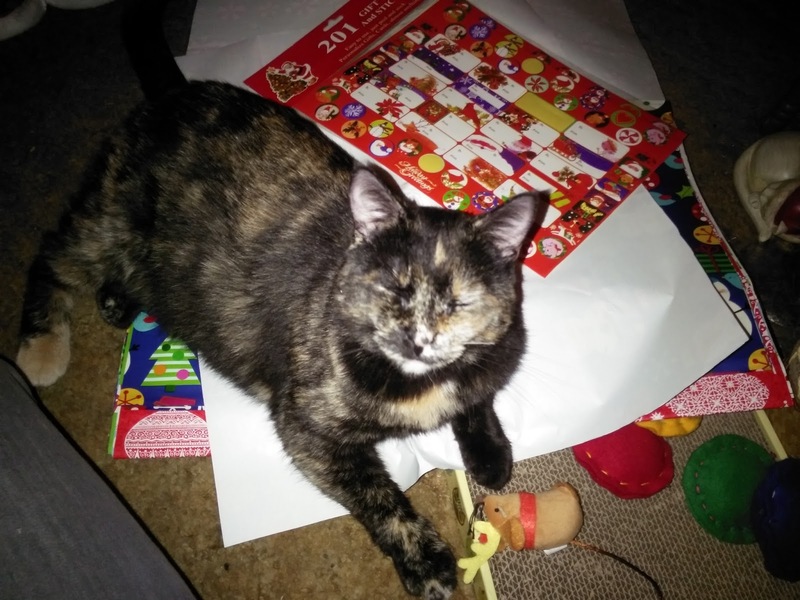 Of course you was a BIG help to your mom-person , who knows how the giftwrapping would have looked otherwise ?? Great job, Mudpie!! I'm sure your Secret Paws will love it!!! Pawsome job! We're sending our package out this week too. It looks like you had a lot of fun. I bet the kitty that gets that is going to be happy. Oh there is gonna be some lucky kitty getting that package! We FINALLY got the mom to go shopping and she got all our Secret Paws presents. Now we hafta get her to wrap them...of course we'll help...and send them out. Mudpie you did a fantastic job in your first SP! Mudpie, it sure looks like you were being a big help with that package and it will have some nice smells on the package just from you. Cheddar chewed the ribbon on all of the presents for our Secret Paws! Great job helping, Mudpie! You furbabies have to keep us humans in line, or else we would be poor lost souls. Mudpie, we think you were a great help! Great job, Mudpie! Can't wait to hear who gets your Secret Paw gift. You did a great job, Mudpie. Some kitty is going to get a lovely package. Mudpie, you are learning very quickly how to be the most helpful of kitties! I think mommy was very grateful!! Oh Mudpie weez sure whatever kitty gets yous gift is gunna luv it. From what weez seen all da kitties really enjoy this. We luv seein' what everykitty gets. it's so much fun seein' you all gettin' surprises. Have a blest day. Meow-valluss Mudpie an Lady Melissa....that gift rappin looks like it was a lot of fun!!! Wishin both of youss' a wunderfull holyday! An yur selfie iss cute cute cute! Mudpie, thank you for making someone's Christmas very special. How nice and neat! 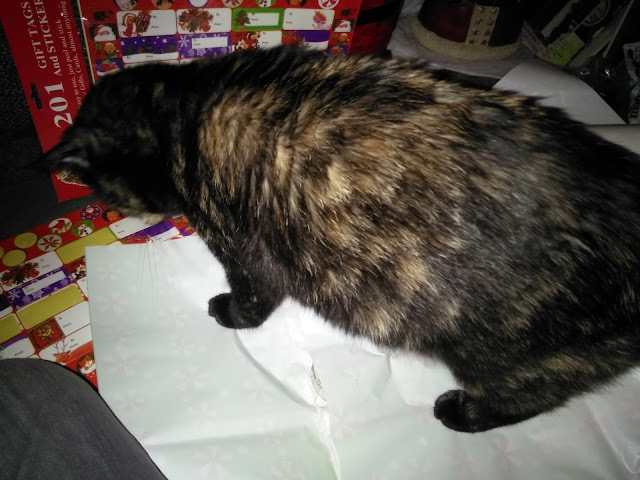 TW can’t wrap to save her life even with me helping. She does like those RS Truffles. MOL! What a great helper you are, Mudpie! 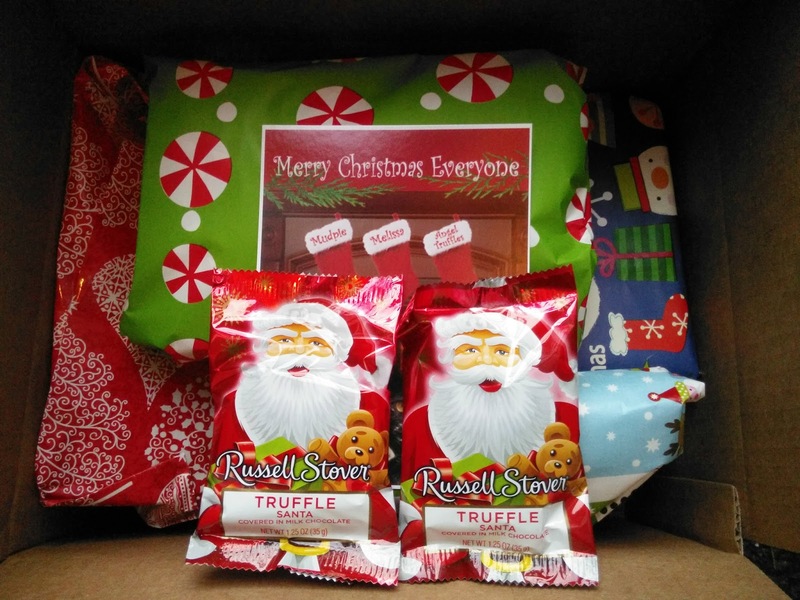 Whoever gets your package is very lucky!